“Russolo was the first in the chain of the development of electronic music,” (Karl Bartos, former member of Kraftwerk). April marks 100 years since the first electronic music concert in April 1914, when Luigi Russolo played his prototype synthesisers in public for the first time. Noise of Art is celebrating with a month of events in April, including the 2014 London debut of Booka Shade’s new live set on 25 April as part of the Convergence festival. Acts include Booka Shade, Tom Findlay (Groove Armada DJ set), Coldcut, Gaggle, The Woodentops, The Reflex, Generic People, Justin Robertson, Severino, Ben Osborne, We Have Band, Fred Mann, Chris Coco’s Melodica w/ Ben Hauke, Jan Pulsford, Coldcut, Addictive TV, Mental Overdrive, Diana Salazar, Your Mum, Overlap, The People Pile, Walkabout by Prick Image and more at various venues across London throughout April. Free – £20. Noise of Art starts celebrating 100 years since the debut electronic music concert with a down tempo affair, featuring early evening DJ sets from Time Out “one-to-watch 2014”, The Reflex (who specialises in re-editing and re-looping classic tunes) and Noise of Art founder Ben Osborne. The night includes music inspired by the loop culture that came out of Musique Concrete. Some decades after Russolo’s first electronic show, Pierre Schaeffer and Pierre Henry used magnetic tape to create the sounds Luigi Russolo had described in his ‘Manifesto for an Art of Noises’ in 1913. These tape loops would later re-emerge in 1960s rock music and early hip hop and electro, eventually mutating into digital sample technology and becoming a mainstay of todays electronic music.? ?It is followed by a whole building Late event at NPG on Friday 4 April and a follow on party at Big Chill House, King’s Cross. The second night of Noise of Arts celebrations of 100 years since the first electronic music performance moves into several spaces around the National Portrait Gallery. With more acts to be announced, it will feature film works, including soundtracks by Coldcut Mental Overdrive’s ‘Ghost Radio’ and excerpts from Addictive TVs ‘Orchestra of Samples’, as well as DJ sets and live music, with Chris Coco’s Melodica Recordings presenting Ben Hauke’s contemporary take on electronic music, sampling the past to make sounds of the future. The night will feature the debut performance of Dr Diana Salazar’s piece ‘Rewind’, which uses sounds of obsolete recording devices recorded at the British Library. A new music and spoken word piece by Jan Pulsford (sound artist whose previous collaborators include pioneers such as Thompson Twins, Nile Rodgers and Cyndi Lauper) will also debut as a work in progress for the Saatchi Gallery, alongside new music and visuals from Ben Osborne and Overlap and more. The night is inspired by futurist exhibits by artists such as Jacob Epstein and Christopher Nevinson in The Great War in Portraits Exhibition at NPG. Big Chill House, London E1. Following two nights of events at the National Portrait Gallery, Noise of Art continues its celebration of the 100th anniversary since Luigi Russolo first played his prototype synthesisers in public (in April 1914). The night sees the godfather of Scandinavian electronic music, Mental Overdrive, launch his acclaimed new LP ‘Everything is Connected’, while electro, glitch and disco support will be expertly applied by Chris Airplays, and Noise of Art regulars Ben Osborne and Rupert The Brewer. Noise of Art celebrates the 100th anniversary of the first live electronic concert (11 April 1914 – 11 April 2014), with a rare DJ set from The Woodentops. From 1986 onwards, as house music emerged onto the UK’s dance floors, one indie band regularly appeared on club DJ playlists. Whether they meant to or not, The Woodentops played a crucial part in shaping the acid house/ Balearic scene. Much propped by John Peel, they pre-figured the acts, such as The Happy Mondays and Primal Scream (to mention but two), that would go on to straddle the indie and dance worlds. 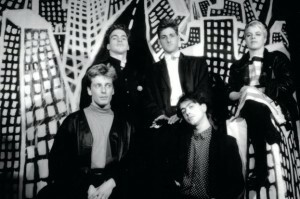 By 1988 they were not only topping the indie charts, but were being invited on world tours by Prince and Bowie, as well playing Glastonbury main stage – while remaining the band of choice for superstar house DJs worldwide. “We were the only indie band to witness three copies of one of our singles on the decks of Tony Humphries (the New York Kiss fm legend) when he was resident at Ministry of sound,” recalls The Woodentops lead singer Rolo McGinty. With the Woodentops just reformed and releasing their first new material in decades, tonight McGinty plays a rare DJ set that’ll excite electronic, balearic and indie heads in equal measure. 5 Little Portland Street Fitzrovia London W1W 7JD United Kingdom. Noise of Art invites Dublin’s hot new live electronic act, Generic People, to play their debut London show at the home of the Heavenly Social, which is itself celebrating it 20th anniversary this year. Generic People have been wowing people with their DJ mixes and remixes of acts such as Mount Kimbie for years, but have only just revealed their new live act. This will be their first UK show and probably your last chance to see them play intimate surroundings. Bringing pure funk and soul flavours to the 100 Years of electronic music celebrations, respected rare groove and Northern Soul DJ Fred Mann will be mining nuggets of funk, while Noise of Art’s DJ Ben Osborne will be joining the dots. More acts are to be announced. Saturday 19 April, Woodbridge Music 2014 Launch. Line up and details to be Announced. The Berlin based electronic act play the 2014 London debut of their new live set at the flagship night of Noise of Art’s centenary events. The night acknowledges Germany’s role in the history of electronic music, by marking the centenary of the first live electronic event with Germany’s foremost electro house act. 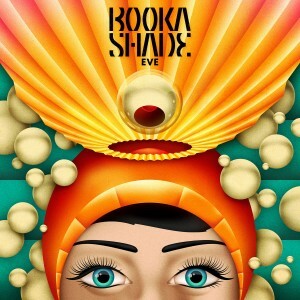 The band’s new show is based on Booka Shade’s much praised fifth album, Eve – itself recorded using vintage synthesisers. The night also sees a live show from 40 strong alt female choir Gaggle and DJ sets from Ben Osborne alongside dance troupe The People Pile, plus Noise of Art’s trade mark visuals and wearable art based on Luigi Russolo’s prototype synths. To be followed by a Booka Shade and Noise of Art curated after party. Tickets details to be announced soon. After tonight’s live show, Booka Shade and Noise of Art keep the party spinning until the wee hours with a storming line up that includes Groove Armada’s ever brilliant Tom Finlay headlining a delightful line up of DJs and Noise of Art’s visuals and performers (tbc). We Have Band are also being scheduled to debut the set for their new LP, Movements, released the following Monday (28 April). Information correct at time of publishing. More to be announced.